At today’s sitting, the Riigikogu approved the amendments to the Spatial Data Act which solve problems relating to spatial data that have arisen in practice. For example, it organises address data and harmonises them in various databases. 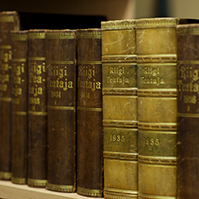 81 members of the Riigikogu voted in favour of the Act on Amendments to the Spatial Data Act and Amendments to Other Associated Acts (355 SE), initiated by the Government, and 6 voted against. In common understanding, spatial data is data on maps, which includes for example data on roads, buildings, forests and terrestrial elevation, and addresses and place names. 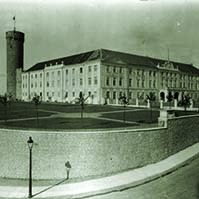 The amendments to the Act mainly specified the rules for the establishment of the addresses of buildings and apartments. For example, the current Act provides for the possibility to establish addresses on one side of a road with consecutive house numbers. The practice in Europe however is that land units or buildings located next to each other on one side of a traffic area are numbered with odd numbers and, on the other side, even numbers are used. 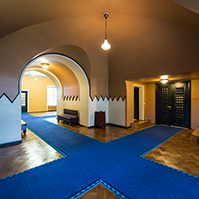 There are places in Estonia, for example, former summer house regions, which have a street system but where the house numbering is confused, and local governments cannot be obliged to organise it under law. The possibility of consecutive numbering on one side of a road is omitted from the Act now. This stricter procedure ensures the finding of buildings and land units in everyday life which is indeed the main purpose of location addresses. The current Act obliges the establishment of a unique address for land units located in densely populated areas or areas where the preparation of a detailed plan is mandatory. Specialists of different fields differ in their understanding of the concepts of densely populated area and low density area, and in many cases it is not reasonable to establish a unique address for a densely populated area or an area where the preparation of a detailed plan is mandatory. Often for example nature conservation areas with a low population density fall under the obligation to prepare a detailed plan. When calculating land tax, all cities to the full extent are automatically deemed to be densely populated areas. The current approach brings about the requirement of street-based addressing for example in the city of Paldiski on Pakri Islands. The Act adopted corrects the requirement for the establishment of a unique address. According to the amendment, land units located in areas that are or are planned to be clearly delimited densely populated areas, that is, compactly developed with buildings and streets, are land units requiring a unique address upon the establishment of location addresses. The Act solves the problems that have occurred in practice with measurement work in respect of geodetic marks. For example, the owner of an immovable has ensured access to a mark and has permitted maintenance work but not measurement, because the law does not directly provide for it. The Act now sets out clearly that the owner of an immovable must permit measurement and maintenance work to be done in respect of a geodetic mark and ensure access to the mark. This will involve no additional expenses for the owner of an immovable. The aim of the amendments to the Commercial Code and the Non-profit Associations Act is to ensure interoperability of the commercial register and the non-profit associations and foundations register with the Address Data System information system. Undertakings must now be ready to specify if necessary the address of their enterprise in the register, for example together with the submission of the annual report. With the amendment to the Population Register Act a person is guaranteed the possibility to register temporary residence sufficiently quickly, and the rights arising therefrom, for example, social benefits. The Riigikogu decided to exclude the head of the delegation Imre Sooäär from the membership of the Estonian delegation to the Parliamentary Assembly of the Union for the Mediterranean, and to appoint Marko Shorin as the new head of the delegation. 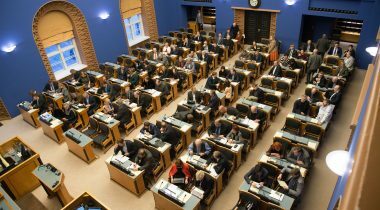 75 members of the Riigikogu voted in favour of the Resolution of the Riigikogu “Amendment of the Resolution of the Riigikogu “Formation of the Estonian Delegation to the Parliamentary Assembly of the Union for the Mediterranean”” (387 OE), submitted by the Foreign Affairs Committee. The aim of the Bill on Amendments to the Law Enforcement Act (312 SE), initiated by the Estonian Conservative People’s Party Faction, was to ban the wearing in public places of burqa and niqāb, face coverings originating from Arabic cultures. The representative of the initiator of the Bill Henn Põlluaas said that, during the immigration crisis that has hit Europe, it has appeared that the individual rights guaranteed by human rights and constitutions have come under pressure due to ethnic groups and religious groups who have arrived from third countries, and cultural differences. “All these traditions and customs that have come to Europe unfortunately do not recognise gender equality in the way the traditions, culture and legal norms of Estonia see it. The suppression of women through the wearing of burqa and niqāb does not fit with our customs and value system,” Põlluaas said. Põlluaas explained that burqa is a women’s garment used in Islamic countries which covers the whole body from the top of the head to the ground, leaving only a narrow opening for the eyes. Niqāb is usually a rectangular cloth that is attached to the sides of the headscarf of a woman and covers the face so that only the eyes remain visible. Member of the Legal Affairs Committee Hardi Volmer said that the Committee had proposed to reject the Bill at the first reading. The Committee mainly criticised the initiators of the Bill because the regulation of the Bill was very narrow. In Volmer’s opinion, the problem should be treated more broadly in the future. As far as he knows, there are four persons in Estonia who wear burqa. In the opinion of Jürgen Ligi, who took the floor on behalf of the Reform Party Faction during the debate, the only possibility at the moment is to be as delicate as possible in this issue, but the rhetoric of the Bill has a great potential to incite more hatred. Ligi said that the wearing of face coverings in general should be regulated, and not only face coverings related to one faith. Mihhail Stalnuhhin from the Centre Party Faction pointed out in his speech that terrorism cannot be prevented with clothing, and attention must be paid to other possibilities. 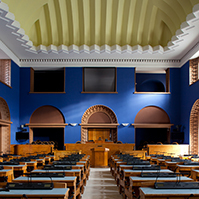 Henn Põlluaas invited on behalf of the Conservative People’s Party Faction to continue proceedings on the Bill and to submit motions to amend it. The result of the vote on the motion to reject the Bill: 54 in favour, 7 against, and 1 abstention. Thus the Bill was rejected at the first reading. 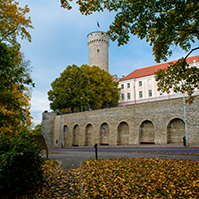 The aim of the Bill on Amendments to the Government of the Republic Act (354 SE), initiated by the Estonian Free Party Faction, is to give to the President of the Republic the right and obligation not to appoint as ministers persons who are unsuitable for the office of minister. 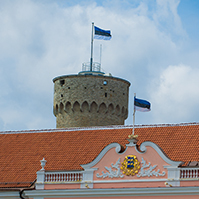 A minister must be a citizen of the Republic of Estonia who has full active legal capacity and who is proficient in Estonian, who is reliable and has no punishments imposed for criminal offences in force. The representative of the initiator of the Bill Jüri Adams said that the main idea of the Bill was that, in a situation where a candidate for minister has been presented to the President, the President should carry out a preliminary verification similar to the one carried out for example in the case of judges. Adams said that the initiation of the Bill had been motivated by the case of the Minister of Rural Affairs Martin Repinski the circumstances of which should have been foreseen. Member of the Constitutional Committee Helmut Hallemaa said that the Committee had proposed to reject the Bill at the first reading. The Committee pointed out in justification that the Bill would have increased the competences of the President. 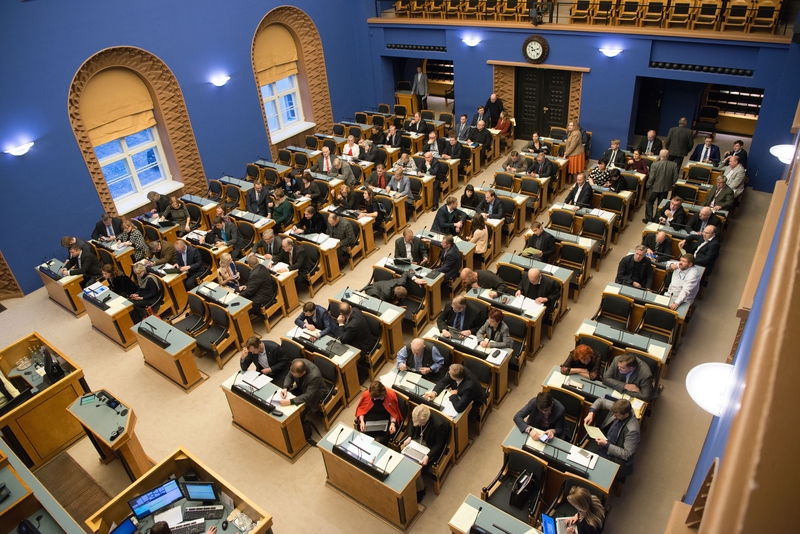 The deliberation of the Bill was adjourned due to the end of the working hours of the Riigikogu and the proceedings on the Bill will be continued at Wednesday’s sitting. At the beginning of the sitting of the Riigikogu, the Deputy Chancellor of Justice-Adviser Heili Sepp took her oath of office.